A natural disaster like hurricane brings nothing but destruction to the nation. This often results in homes damages, power lost, people displaced, injured, or dead. Considering the aftermath of the hurricane and other crisis happening in the world and around us, Christian must learn how to respond in prayer. God is inviting us to be His watchmen in prayer and make Him our refuge in difficult time. Everyone should take an opportunity faithful to His word. Psalms 138:2 says, “You have magnified your word above your name.” God holds His word in higher esteem than Himself. For this reason, we must always remember to go to Him through prayers and make our request known to Him to recognize the faithfulness of God to His word by always saying a prayer for hurricane protection. Our God is a mighty and powerful. All element of nature obeys your command. calming the wind and wave on your command. keep us safe during hurricane season and give us the favorable weather. And be grateful for all you have done for us. Why Should We Pray For Hurricane Protection? All the elements of nature obey his command, you know why? He is the Creator and Lord of the universe. “Then He arose and rebuked the wind, and said to the sea, “Peace, be still!” And the wind ceased, and there was a great calm. But He said to them, “Why are you so fearful? How is it that you have no faith?”. And they feared exceedingly, and said to one another, “Who can this be, that even the wind and the sea obey Him!” (Mark 4:39-41). He is mighty and powerful God that is why we have to ask Him in every situation and circumstances to help us through prayer for hurricane protection. Psalm 46:1 says, “God is our refuge and strength, a very present help in trouble”. He never wants anything call evil near His children. He wants to be our strong place of refuge. King David understands this opportunity; he knows how to take refuge in God’s shadow in time of danger. Likewise, a baby bird will always seek shelter under its parent’s feathers for warms and protection. Jesus knows we will need a safe place of refuge in time of trouble that is why he asked us to call on him that he will answer us. “He that dwelleth in the secret place of the highest shall abide under the shadow of the Almighty. I will say of the Lord; He is my refuge and my fortress: my God; in him will I trust” (Psalm 91). 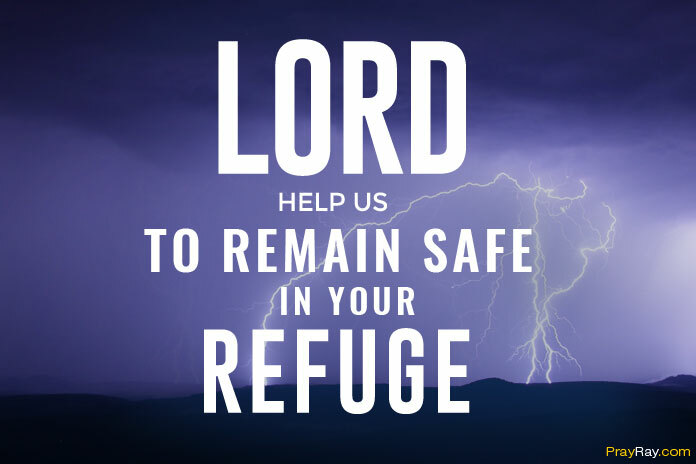 The Bible repeatedly says that God is our refuge. Therefore, we can pray through disasters with Him as our refuge. How then can Our Prayers Help in This Kind of Situation? Our God is a merciful God that listens to the cry of those that diligently seek him. Psalm 57:2-3 says, “I cry out to God Most High, to God, who vindicates me. He sends from heaven and saves me, rebuking those who hotly pursue me, God sends forth his love and his faithfulness”. When the people of Nineveh heard about the disaster that awaits them, they repent of their sin and cry to God in prayer, and he answers them. 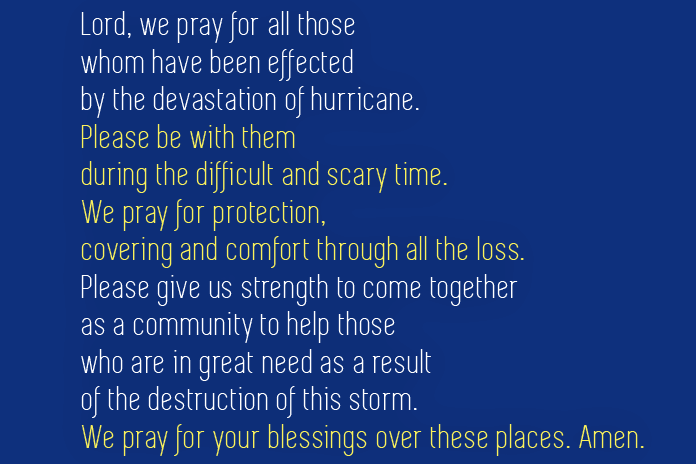 We must never underestimate the power of prayer for hurricane protection. God wants us to be alert watchmen who know how to pray for cities and nations facing challenges. Do you need God’s protection over your life? Then follow these steps. We must learn to be thankful for all that he has done for us and appreciate His love for humanity. One thing that can hinder your prayer of hurricane protection is when we are not aligned with God. 2 Chronicles 7:14 says, “If my people who are called by my name will humble themselves, and pray and seek my face, and turn from their wicked ways, then I will hear from heaven, and will forgive their sin and heal their land”. Ask God for the forgiveness of your sin and that of your leaders and country. Sin can create space between man and God. Isaiah 59:1-2 says surely the arm of the LORD is not too short to save, nor his ear too dull to hear. But your iniquities have separated you from your God; your sins have hidden his face from you so that he will not hear. Trust in God and have strong faith in Him even in the midst of unpleasant news such as severe weather forecast. As a child of God when we heard about an impending natural disaster such as a hurricane, the best thing is to intervene and unite in prayer for hurricane protection to only Supreme Being that has the power to save. Grow deeper in your relationship with God and strengthen your prayer life.